Coastal cities have their own special character, as their history is entwined with marine life and its secrets. 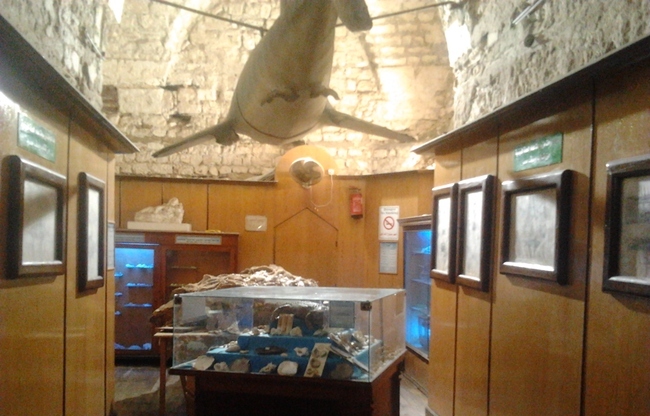 In Alexandria, where many museums display the history of Egyptian civilization, one in particular has chosen to focus on the characteristics and history of marine life: the Maritime Museum at the site of the historic Qaitbay citadel. In response to the great interest visitors to Alexandria have shown in maritime antiquities and holdings, the Egyptian Ministry of Culture is seeking to establish a larger maritime museum, and has already finalised plans for the project, said museum trustee Hassan Darwish. The European Institute of Submerged Antiquities has contributed to the development of the concept and schematic designs for the new museum, while research and planning was supervised by the United Nations Educational, Cultural and Scientific Organisation (UNESCO). The new museum will merge the collections of the Maritime Museum and the now-closed Alexandria Museum of Aquaculture. It will feature antiquities salvaged from the Mediterranean Sea and models of ancient ships and forts, and will highlight the role of the seas and sailors in the evolution of Egyptian civilization. "The museum will comprise several sections, the most important of which will be a section located seven meters underwater and accessed via glass-walled passageways that allow visitors to view antiquities submerged near Qaitbay citadel, which is the site of the ancient Lighthouse of Alexandria," Darwish said. An above-ground section will contain further exhibits, and additional sections will be devoted to audio-visual displays that incorporate the latest technologies, Darwish said. Other items to be displayed in the new museum include 40 artefacts salvaged from the east side of the old port, near Qaitbay citadel, most notably a six-metre statue of a woman and an obelisk that dates back to the reign of King Seti I in the 19th dynasty at around 1300 BCE. The culture ministry's central administration for Egyptian antiquities will manage the museum, Darwish said. Items from both museums will be displayed at the new museum, Darwish said. These include preserved and mummified marine specimens, various rare snails, coral and fossils, as well as detailed drawings of fish from the book "Description de l'Égypte", a collaborative work by a group of French scientists during the French army's campaign in Egypt around the turn of the 19th century. Unusual items to be displayed include a massive whale skeleton and a mummified "mermaid", merman and child. The Maritime Museum was established in 1930, but wasn't officially opened until 1966, when Gamal Abdel Nasser was president. Its location at the entrance of Qaitbay citadel draws the attention of tourists and visitors, and its entry fee is a modest one pound ($0.14), Darwish said. Ramzi Mustafa of the National Institute of Oceanography and Fisheries has helped preserve many of the marine animals currently displayed at the Maritime Museum. Mustafa is now working to preserve the museum's latest acquisition, a rare species of tortoise that is approximately two metres long. The tortoise is currently exhibited at the museum so that visitors can view the various stages of the mummification process. Nabil Noureddine, an architect from Cairo on vacation with his family in Alexandria, was keen to visit the Maritime Museum. "We had to visit the museum so my children could learn about some characteristics of marine life and to see first-hand what they are studying in books, especially the mummified fish and fossils," he said. What drew his attention were the fish drawings in the book by the French scientists. "These images are very important, particularly for the purpose of comparing [them] to contemporary fish species and the study of marine life in Egypt," he said.